Max Life Insurance The Run is India’s Premier community run that propagates the importance of educating the community about fitness and Reviving the spirit of ‘participating in activities together’ as a community to create a health and fitness conscious society. 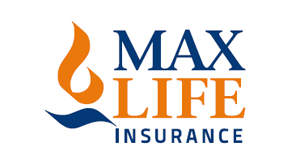 We're back to our favorite city again for another exciting edition of Max Life Insurance The Run! Be a part of our 5k or 10k on the 24th of March, 2019 at Sullivan Police Hockey Ground, Bengaluru. Thank you for running with us and making the inaugural edition a memorable one! While the 5k and 10k events are the primary focus of Max Life Insurance The Run; we urge you to leave behind your competitive spirit and embrace your sensitive side with the fun-filled variety of activities at “The Run Village”. The Run Village is an area demarcated solely for the purpose of adding value to your life: transform into a kickboxing specialist, a zealous practitioner of Zumba or delight your taste-buds with our healthy food workshops, to name a few of the planned sessions. The idea is to inculcate a new skill, an approach, a passion, a dimension within you, to enable your ascent to a state of happiness, rejuvenate a communal sense of harmony and free the chains that prevent you from getting fit. Each runner will be provided with 2 wrist bands permitting him/her to invite their friends and family to cheer them while they #RunWithMax on our track! Two additional entry bands for friends and family | T-shirt and Bag | Vouchers from partners.